Limited places left. Great time to see this beautiful and historic region of Spain. Combines all the highlight cities of Seville, Cordoba and Granada, with scenic walks in places of outstanding beauty. Several days spent in the wild mountains of Cazorla, Ronda and Grazalema. Tour includes 11 nights in standard hotels, 2 nights in a simple hostel, all breakfasts. Small group 10-16 people. I am absolutely thrilled to be leading this tour to Vietnam and Cambodia and hope that you will be able to join me on this incredible adventure. Together we’ll discover the contrasts between fast paced Saigon, and more sedate Hanoi with its gorgeous pockets of old world charm. We’ll spend time on a traditional ‘junk’ cruising picturesque Halong Bay, and I am really looking forward to seeing the magnificent temples of Angkor Wat – once almost impossible to visit. Best of all, we’ll discover together the amazing flavours , tastes and traditions of Vietnamese cooking which epitomise this incredible country and its culture. A long the way we’ll have the chance to talk of my sensational experience on MasterChef, and all the fabulous things that have happened since. 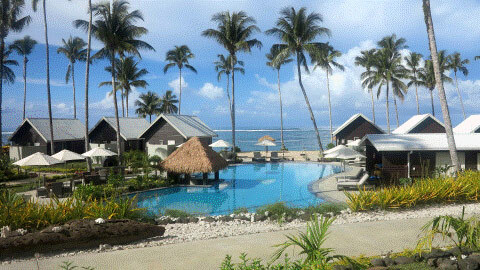 Saletoga Sands Resort & Spa – Samoa, combines luxury and comfort with the natural splendour of the beautiful island of Upolu. A white sandy beach and breathtaking, tranquil blue waters provide the perfect setting for this stunning boutique retreat surrounded by exotic tropical flowers and lush greenery. Nestled within a secluded sheltered bay, just over one hours drive from Faleolo International Airport, on the South East Coast of Upolu, guests scan relax and rejuvenate in the beauty of Saletoga Sands Resort & Spa, or simply explore some of Samoa’s best attractions located nearby. The resort has only 25 rooms, a day spa, fitness centre, free snorkelling equipment and stand up paddle boards. Your free daily continental breakfast includes toast, fruit, cereals, juices and tea/coffee. The on-site restaurant and bar serves local and international cuisine and features ocean and poolside views. Picnic hampers are also available. 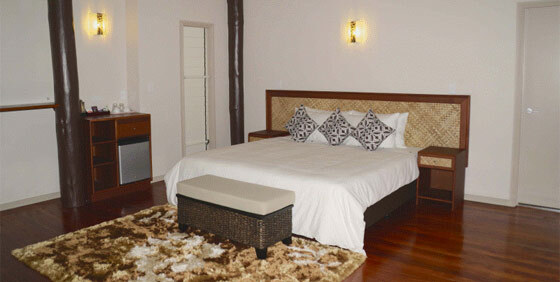 All villas have air conditioning, satellite TV and tea/coffee making facilities. Discover the Paris of South America for yourself and get a taste of what the birthplace of the Tango has to offer. Depart Buenos Aires onboard the MS Fram at 12.00 noon. Eighteen Night Cruise: Onboard MS Fram. At sea head south towards your first destination. On the way you will have fascinating and informative briefings into the history and biology to be found there. Set course south to the Falkland Islands in the South Atlantic, located 772 kilometres north of Cape Horn and about 1,600 kilometres from Antarctica. The Falklands consist of two large islands and around 700 smaller ones and has a population of 2,967 inhabitants. Captain John Strong of HMS Welfare made the first recorded landing here in 1690. The islands have a unique ecosystem of about 70 different sub-Antarctic animal and bird species. The black-browed albatross, brown-rumped karakara, elephant seal, sea lion and five different species of penguin including king penguin are just a few of them. There are also about 347 wild plant species in the area. The landscape is majestic, with cliffs and needle-like stones covered in green grass. Cruising the area of the North West Falklands, your ship is scheduled to arrive late afternoon. Today you will explore the north-west part of the Falklands. You then continue to Stanley, the islands’ capital, which makes a wonderful starting point for various excursions in the area. You can choose to take an optional excursion or explore the town on your own. In the early evening of day 7 you set a course for South Georgia. Depending on the final decision regarding landing sites, there will be a hike offered. One of the options could be an easy hike to a cliff with black browed albatross, a rockhopper colony and a cormorant colony if landing at New Island. If an alternative landing site is chosen, a different walk will be set up on the Falkland Islands. The cruise southward to beautiful South Georgia takes two days. En route there will be a number of presentations about the area you will visit and its wildlife, as well as some fascinating stories about Shackleton’s expeditions. The lecturers will tell us about the significance the whaling station here had for the entire whaling industry. You can explore this beautiful island, which is ringed by ice-covered mountains and cool emerald-green bays. Known for its many historic places, you will spend two fascinating days in South Georgia, where, weather permitting, you will visit Grytviken whaling station, its museum, Shackleton’s grave and the whaler’s church dating from 1913. An attempt will also be made to visit the old Norwegian whaling station at Stromness and the kind penguin colony at Fortuna Bay. Setting sail on the second day, your ship cruises south towards Antarctica. The wildlife on South Georgia is different to what you will see in Antarctica, including many different bird and animal species. Known for its variety of wildlife, you may see albatross, cape petrels, southern giant petrels, Antarctic whale birds, king penguins, fur seals and elephant seals, among others. South Georgia offers nice hiking options, and one of our favourites is walking the last part of the route that Sir Ernest Shackleton took on his brave journey across the island’s rugged mountains to find help to save his 22 men left on the isolated Elephant Island. The 5.5 kilometre hike takes you from Fortuna to Strømness, the abandoned whaling station where Shackleton finally managed to get help. Due to the remoteness of the island and the safety of the operation, it is required that each hiker has a good level of fitness. This hike will only be conducted when weather conditions are very favourable. The cruise towards the Antarctic Peninsula takes two days. Whilst you cross the sea to Antarctica a number of presentations will be given about the various topics of the Antarctic’s history and wildlife, as well as guidelines for visitors to Antarctica. The Antarctic Treaty has made the continent an area without military activity and it is the treaty which regulates all activities in the area. Hurtigruten ASA follows these regulations to the letter to ensure that the vulnerable environment will not be disturbed. The program of presentations aim to prepare you for this unique experience, so that you will derive the greatest possible benefit from your Antarctic experience. Set sail onto the northern tip of the continent, the Antarctic Peninsula and the South Shetland Islands. This unending, white wilderness of a continent is full of fantastic impressions. Ocean, ice, mountains, animals, light, air, quiet. Everything! This enormous white and weather bitten continent is almost as big as North America. Weather, wind and ice conditions have a great influence on the program and schedule. Safety is always the first priority and the final sailing schedule will be decided by the ship’s captain during the voyage. While in Antarctica, the ship will attempt to land on several sites. On land, the expedition team will explain what you see and help you avoid disturbing the nature and wildlife. When conditions allow, hikes or other activities on land and at sea may be offered. Participation on any hike requires a good level of fitness, and that you are accustomed to hiking in uneven terrain. After exploring this indescribably great and endless continent, leave Antarctica and set course for Ushuaia. With the bow pointed north and unforgettable images and experiences in your soul, you are invited to gain a new understanding of the Antarctica. 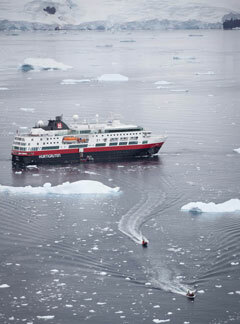 During the voyage Hurtigruten will summarise the Antarctic and Southern Ocean themes. The voyage from the Antarctic Peninsula to Ushuaia is about 950 kilometres – about 40 hours sailing in good weather. This sea passage was notorious among the early polar explorers and is a unique voyage which only a few have the chance to experience. After spectacular Antarctica and its endless vistas, make landfall at the world’s southernmost town. On arrival at the Argentinean town of Ushuaia this morning, disembark after breakfast and there is the possibility of joining an optional excursion in Ushuaia (with its end at the airport) or be transferred to the airport. If time allows, a stop at the city centre on your way to the airport may be included. In the early afternoon board your four hour flight back to Buenos Aires. There is a reason why so many of the best wildlife documentaries are filmed in the Okavango. One of the world’s largest inland deltas, the Okavango boasts the Big Five, all of them in abundance except the rhino. The lions and leopards of the Okavango have been made famous by National Geographic. Moremi is lush and varied – a patchwork of lagoons, shallow flooded pans, plains and forests. It is one of Africa’s finest areas for wildlife, with particularly high game densities. The animals found here are numerous and relaxed, often allowing vehicles to approach closely. The Chobe National Park is part of the northern Kalahari, much of it impenetrable thorn bush growing on deep sand. This is an old safari area. Livingstone visited it in the 1850s, as have countless big-game hunters since. It’s famous for huge herds of elephant and buffalo, and large prides of lion that have learnt to hunt them; for a river that apparently flows both ways; and for the mysterious, disappearing (and reappearing) Savuti Channel. Includes: two nights houseboat, two nights hotel and six nights camping accommodation, meals as indicated, game activities as specified, Botswana park and camping fees, transport, flight Maun to Moremi and a professional guide. Note: Luggage must be limited to 12 kg in a soft bag plus a reasonable amount of camera equipment. Contact us for a copy of the pre-departure information. From $3,999p/p USD – Departures October 2014 – March 2015. Perfect for outdoor enthusiasts who want to experience one of the world’s most pristine wilderness settings, this challenging 2-week adventure packages the region’s essential highlights into one incredible journey. Explore Torres del Paine, encounter the Perito Moreno Glacier and hike Glacier National Park. With years of local experience, we employ the region’s best guides to reveal the extraordinary, bringing you to our exclusive campsites which provide stunning views of Patagonia. Prepare to be awed. El Chaltén and Glacier National Park hike (full-day). Perito Moreno Glacier guided tour. Torres del Paine National Park excursion including hikes with expert mountain guides. Penguin colony tour (Punta Arenas). Boat cruise on the Beagle Channel (Ushuaia). Internal flights. All transport between destinations and to/from included activities. Hotels (12 nts), camping (2 nts). Public bus, van, plane, boat, hiking. 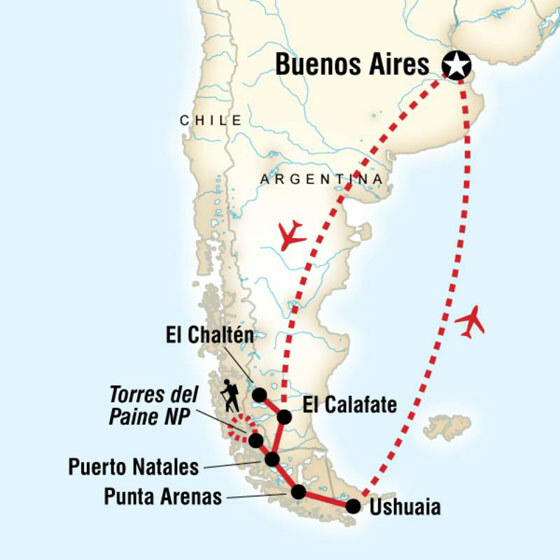 Fly to El Calafate and continue by bus to El Chaltén and Glacier National Park. Full-day guided hike included and free time for further exploration. Return to El Calafate by bus. Included guided tour to Perito Moreno Glacier and opportunities for great Argentine cuisine. Travel by bus into Chile and to Torres del Paine National Park. Two and a half days of included hikes from our campsite base, with our expert mountain guides. Bus south to Punta Arenas. Included tour to a penguin colony at Otway Sound. Cross into Argentina by bus, arriving in Ushuaia. Included boat cruise on the Beagle Channel and free time for shopping and individual exploration. Fly to Buenos Aires. Optional tango show and dinner. Depart at any time. We highly recommend booking pre- or post-accommodation to fully experience this lively city. Looking for a holiday to China? Don’t miss this great offer. Discover the historical Beijing, climb the Great Wall of China. Marvel at the Terracotta Warriors in Xian, considered as the eighth wonder in the world. Wander in the magnificent Forbidden City. Explore the Research Base of Giant Panda Breeding in Chengdu, with a unique opportunity to see the pandas in an environment similar to their natural habitat. Departing from Melbourne or Sydney – normal price $3,320 pp, save $1,450 pp. In Beijing, walk on the Great Wall, stroll Tiananmen Square, explore the magnificent For-bidden City, wander in the Olympic Park, admire the unique Temple of Heaven. In Xian, marvel at ancient Terracotta Warriors, visit the iconic Wild Goose Pagoda, browse the Provincial Museum and wander in the bustling Muslim Quarters. In Chengdu, visit the Giant Panda Breeding and Research Base and stroll along the ancient streets. Best season to visit China, only a few spaces are left, inquire now! Don't miss out on our best deals every month!